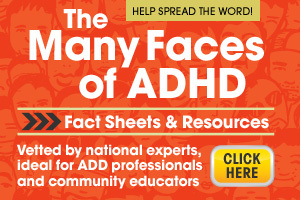 Myth: ADHD is only present in children. Fact: Many people do not even receive a diagnosis until they reach adulthood. I am one of those people. I flew under the radar. In preschool, I was what you would call “hyperactive.” I was always on the go! As I got a little older, I learned that I was supposed to do as I was told, and was able to remain in my seat. This did not make it any easier to concentrate, remember things, or follow directions, however, and these issues persisted all through school. I did manage to do well, because I put forth a lot of effort, and I graduated with a Bachelor’s in Social Work in 2006. This didn’t come without its struggles, though. I finally decided to take matters into my own hands at 25, after I became increasingly concerned about my forgetfulness and difficulty staying on task. I received a diagnosis of ADHD, not to my surprise! This is not uncommon. Many adults receive a diagnosis after introspect.